Pennsylvania has two classifications for travel trailers. 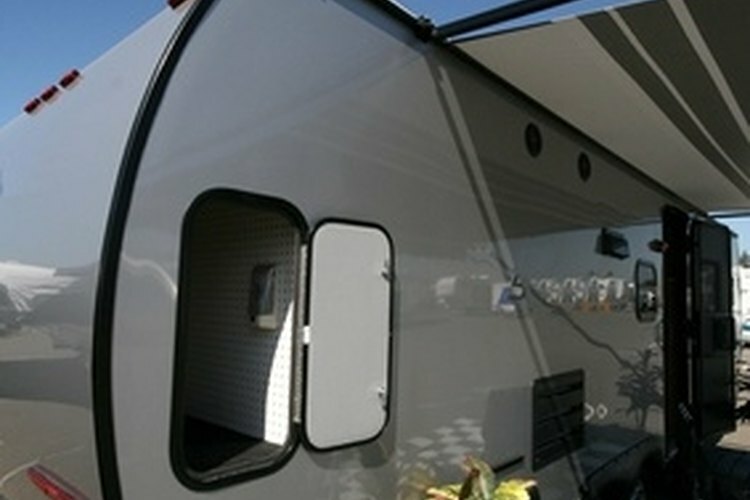 Travel trailers are a favorite way for many families to see America. Technological advancements have made today's trailers more comfortable and filled with numerous amenities to put more "home" in "motorhome." If you're looking to register your travel trailer in Pennsylvania, you'll find Pennsylvania code very straightforward---there are essentially only two classes of travel trailer. Pennylvania divides trailers of all purposes by weight limit. Anything over 3,000 pounds needs inspection as part of registration. Anything below is a standard Class C trailer which falls under the law essentially like any other passenger vehicle. Trailers under 3,000 pounds can be registered so long as you have proof of title or purchase, a vehicle identification number (VIN) if one exists, Pennsylvania residency and can pay the appropriate fees. Your average travel trailer is a Class C vehicle. They can be operated by anyone with a standard Class C, automobile drivers license. Class B vehicles are buses and commercial passenger vehicles and Class A are large commercial cargo vehicles -- usually semi-trucks. Class C travel trailers include everything from small, rounded containers to carry your camping gear to "fifth-wheel" and camper-trailers in which people can sleep. When purchasing a trailer, verify with the seller that it meets Class C qualifications if you want to keep your Pennsylvania registration simple and easy. There are a few camper trailers in the Class B range. For these particularly large vehicles, you will need to contact the Pennsylvania Department of Motor Vehicles to arrange an inspection appointment. Inspectors look at many things including brake safety, rod alignment and placement, frame construction, electrical wiring, and functionality of exterior signal and brake lights. Have a mechanic or trailer specialist look your trailer over and advise any needed repairs before going for inspection. The Pennsylvania Department of Transportation has very detailed rules about trailers on the Pennsylvsnia Turnpike. Only Class C automobiles are allowed on the Turnpike -- toll collectors and police will stop any vehicle in violation. While small travel trailers are allowed, larger ones -- even Class C -- can sometimes exceed regulations. If you plan on bringing your camper trailer on the Pennsylvania Turnpike, contact the Department of Transportation with your trailer's specifications to make sure it will be alright. If not, you can complete a form to formally request transit on the Turnpike. The DOT will assign you a specific time to travel and will only permit you to go from your entry point to your requested exit.